Carson City, Calif., is a long way from the fields of Section V, where he grew up, but that's where former Aquinas Institute star Jordan Allen made his Major League Soccer debut late Saturday night in Real Salt Lake's 1-0 win over the Los Angeles Galaxy. Not bad for an 18-year-old, huh? "It was a great environment, great atmosphere, that's for sure," Allen said by phone from Los Angeles on Sunday morning. 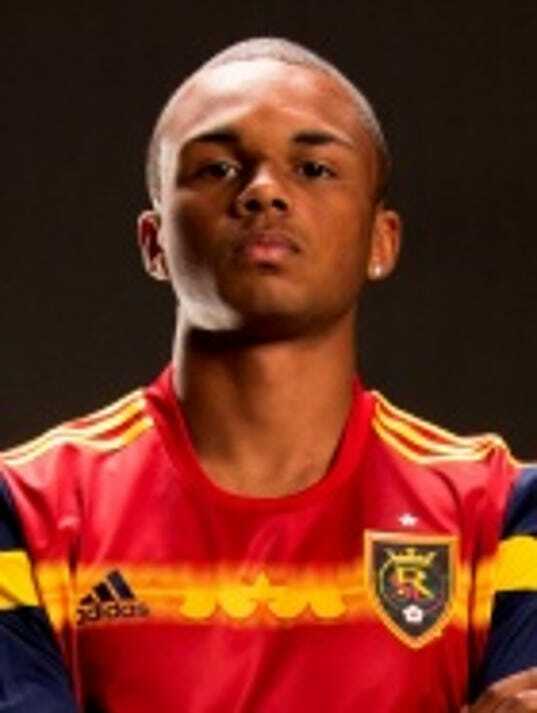 The son of former Rochester Rhinos player and Aquinas Institute boys soccer coach Howard Allen, Jordan is just the second Rochester-born player to suit up for an MLS squad. Webster native Brian Bliss, 48, the first-year technical director for the Chicago Fire (MLS), played three seasons in America's top league (1996-98) for the Columbus Crew, the NY/NJ MetroStars and Kansas City Wizards. A crowd of 25,634 was at the StubHub Center (formerly Home Depot Center) and Allen soaked it all in. He turned pro in December after spending one season last fall for NCAA semifinalist Virginia. Allen entered in the 89th minute, replacing Joao Plata after the Ecuadorian forward's 80-minute goal against the run of play produced the lead. Coupled with a penalty-kick save by RSL goalie Nick Rimando in stoppage time, it was just enough for RSL in the season opener for both squads and to make a winner out of new RSL coach, former assistant Jeff Cassar. "For me it was just a big step to make the 18(-man roster), to travel. When (Cassar) did call my name it was a great feeling," said the 5-foot-11, 160-pound Allen, who turns 19 next month. "I was supposed to go on and have fresh legs and try to stretch the Galaxy as much as I could just to relieve pressure. We were just kind of sitting in for the last few minutes, trying to keep the result." Allen played in the midfield, as RSL switched from a two-forward formation to a 4-5-1. However, he's versatile enough to play anywhere on the field and that makes him a valuable, albeit young, piece for Cassar. The coach is familiar with Allen because Allen played for RSL's academy team from August 2011 to December of 2012. When Allen's academy squad would face RSL's reserve team that Cassar handled, he'd see Allen's ability. "I know Jeff very well. We kept in touch while I was at Virginia," Allen said of the former MLS goalie. "He's pretty comfortable with me anywhere (on the field). Wherever I can get minutes, I'm satisfied." Allen, who was the U.S. Soccer's Federation's Developmental Academy Player of the Year in for the 2011-12 season, signed with Real Salt Lake on Dec. 31. There was another Rochester connection at Saturday night's match. Brighton native Dave Sarachan, a former Rochester Lancers player and Cornell University head coach, is in his fifth season as Bruce Arena's top assistant for the Galaxy. The goal came just a few minutes after RSL had one negated on a offside call after Luke Mullholland tapped in a rebound off a shot by Plata. If Mullholland's name sounds familiar, that's because he played against the Rhinos in 2011 when Mullholland was named USL PRO Rookie of the Year for Wilmington. The England-born midfielder, who is 25, spent the past few seasons in the NASL for Minnesota and Tampa Bay. RHINOS AT HOME SUNDAY: Rochester plays it second preseason match at 2 p.m. Sunday against Binghamton University. Admission is free at Sahlen's Stadium.